The completion of the Hep Cat mural near the entrance of Ashmore Park located at 4807 W. Gunnison St. in Chicago, IL, has led to the park getting a beautification facelift. On September 21, 2013 I coordinated a group of volunteers to pick up trash, spread new mulch and plant 40 new flowers and plants throughout the approximately 1/8-acre park. 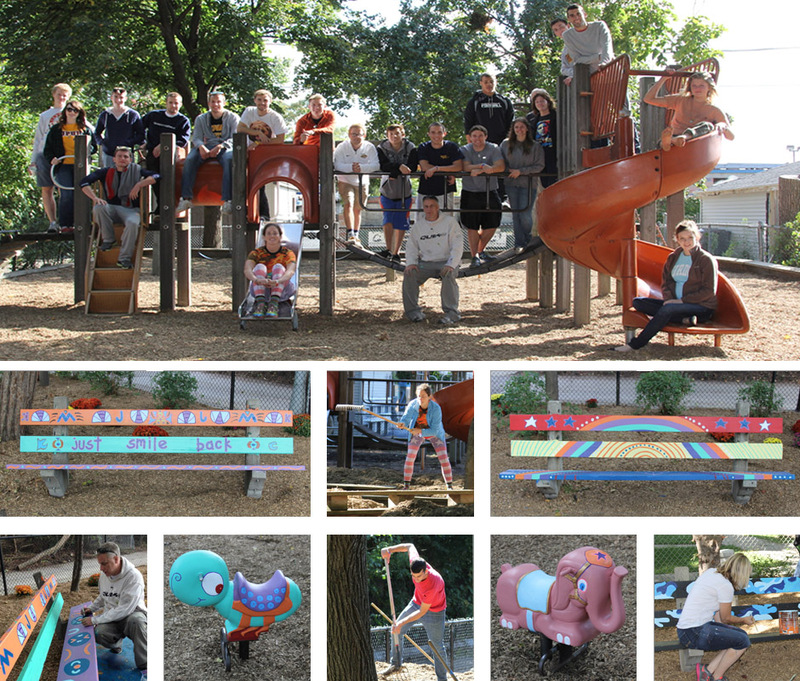 Playground equipment and benches in the park were painted to match the vibrant colors of the Hep Cat mural on Cicero which stretches around the corner onto Gunnison near the entrance to the park. The cleanup and makeover occurred on the same day that a dedication ceremony for the “Hep Cat” mural was made in remembrance of Keith Carr.